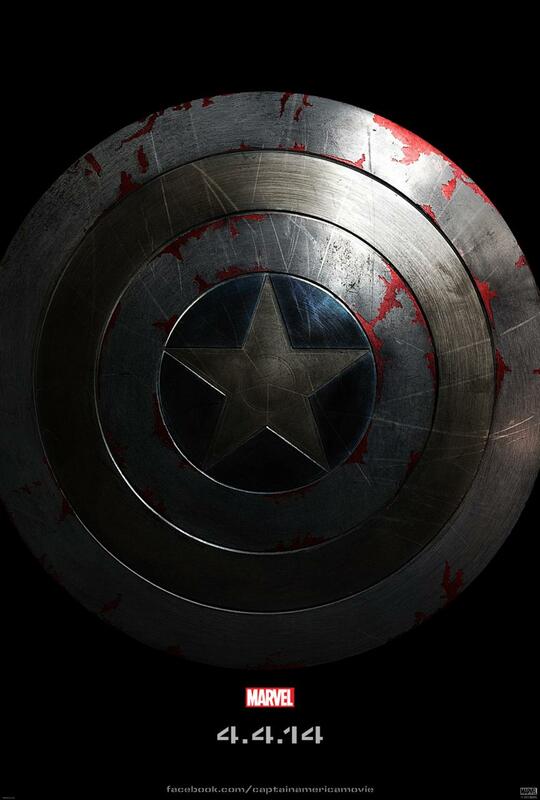 Marvel has released the first teaser poster for Captain America: The Winter Solider! Looks like that shield is going to see some epic battles. It looks pretty heavily worn. The story picks up where The Avengers left off, "as Steve Rogers struggles to embrace his role in the modern world and teams up with Natasha Romanoff, aka Black Widow, to battle a powerful yet shadowy enemy in present-day Washington, D.C. " This is going to be more of a direct sequel to The Avengers which is pretty cool. Hopefully it turns out just as good! Captain America is one of my favorite Marvel characters, and I'm really excited about this sequel. Marvel will be holding a panel for the movie at Comic-Con where they will screen the first footage from the film. We'll be there to tell you all about it! The Anthony and Joe Russo directed film stars Chris Evans, Sebastian Stan, Frank Grillo, Samuel L. Jackson, Cobie Smulders, Scarlett Johansson, Toby Jones, Emily VanCamp, Hayley Atwell, Maximiliano Hernández, Robert Redford, and Georges St-Pierre. The movie hits theaters on April 4th, 2014.